This post should be filed under “frustrating and extremely annoying” because that’s how hard it is to get the Isis version of American Express Serve. Before I get into the how of it, the reason you should want the Isis version of Serve is because it comes with higher monthly load limits and no monthly fee regardless of what you do or don’t do. 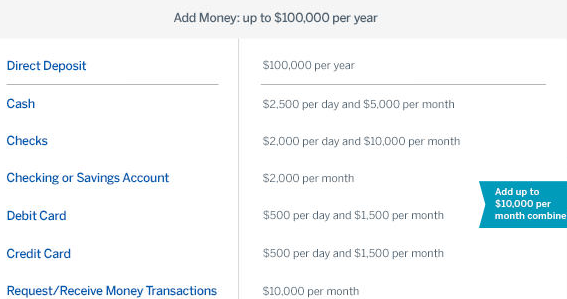 For example, you can load $500 a day via a credit card or debit card and $1,500 monthly. That compares to just $200 a day and $1,000 a month via the standard Serve card. Everything else is the same, but it’s nice to have an additional $500 monthly if you have big bills you want to pay with a credit card. Additionally, you can get bonuses for opening a Serve card via the Isis app. AT&T customers get $15 when opening the Serve card (immediately), and another $15 once you load your account. So it’s a free $30. 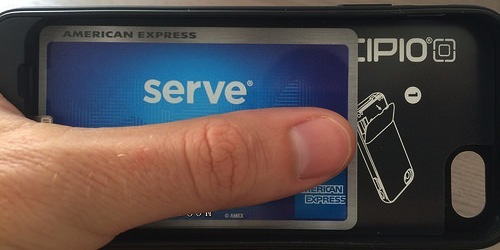 Verizon customers can get a $25 credit if they sign up for a new American Express Serve account in the Isis Wallet from now until July 31st. So hurry! You also get $20 back after you spend $40 or more on a purchase with your Serve card until September 30th. T-Mobile customers can get a $50 bonus when signing up for Serve via Isis. And all Isis/Serve customers can get $1 back on each purchase of $1 or more when using the tap to pay feature with Isis and Serve, up to $50 per month until December 31st (with some limitations). There are also other cool freebies like free Jamba Juice daily until the end of 2014. 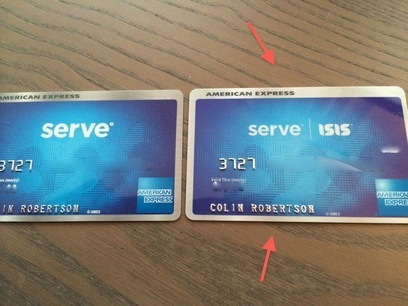 So there are plenty of reasons to open your Serve card via Isis, especially if you like free smoothies.. I opened Serve without really paying attention to Isis, thinking I could take advantage of Isis later. Boy was I wrong. If you already have a Serve account that you opened without Isis, you need to close out the account before proceeding. 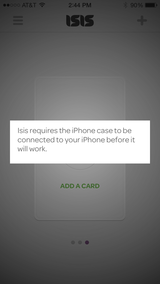 It appears that only AT&T, T-Mobile, and Verizon customers with smartphones can get the Isis Wallet. If you have an iPhone, you need to buy this really annoying Isis Ready case that allows you to use your phone to tap and pay with select merchants. Again, I made the mistake of buying it in-store for like $69 when they sell it on AT&T’s website for $52 (online discount). Be careful on this step. You need to make sure you get the right case for your phone AND carrier. Additionally, you might need a special SIM card. It was actually beneficial that I bought my case at the store because the salesperson put the SIM card in for me and explained the process a bit. I also tested it while at the store. Silver lining. I don’t think the Samsung Galaxy needs a special case, but I believe you still need a special SIM card. The SIM card didn’t cost anything, but as noted, I had to get it at the AT&T store. Once you download the app from the app store, open it and wait as it loads up. It won’t load if you don’t have the right phone/case. Assuming you do, it will ask you to create a new Isis account. Follow the on-screen directions and complete the activation exactly as you’re told. It takes a bit of time. This is probably the most important step in the process. 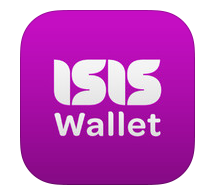 Once the Isis wallet app is open, there shouldn’t be any cards in the wallet. You should see a blank card that says “add a card” on it, as seen in my screenshot. Also notice in my screenshot that when I removed the iPhone from its special Isis case (in order to take the screenshot) the app stopped working. So you can’t even get the app going without the case. 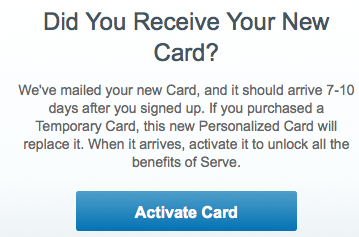 Click on “add a card” then select “other card.” There will be an option to open a Serve account. Make sure you add the Serve account as instructed via the app. Follow the on-screen instructions. Note: If you previously (or currently) have a Serve account sans Isis, it must be closed first. In order to close it, the account balance must be zero ($0). Call Serve and cancel it over the phone. You should be able to apply for the Isis version within 60 minutes or so after canceling. Additionally, I was told to use a different e-mail address the second time around because I was a previous Serve customer. I’m not sure if this matters for the sign-up bonus, simply to sign-up successfully, or if it doesn’t even matter at all. Once you follow all the instructions and verify your account, you should see a virtual Serve card in your Isis Wallet (which should have the Isis logo on the virtual card). This is how you know you got the right version of Serve. From there, you can add funds by tapping the virtual card. You’ll need to add your credit card funding source (or any other funding sources). You should also see the bonus in your account immediately. I had the $15 from AT&T right away, and once I loaded money via my Ink card, another $15 was in there! The max you can load before you get your physical Serve card in the mail is $500, but you do get the higher limits right away in my experience. Notice that your physical Serve card should also say “Isis” on it, as pictured above. So that’s it. Yes, it requires work and possibly money (for the case and SIM), but you get a nice little rebate and those ongoing cash back bonuses. The higher limits are also awesome and it certainly beats going the traditional non-Isis route. 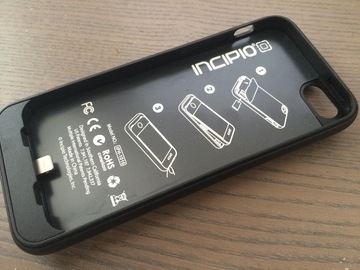 The downside for iPhone users is that the Isis Ready case is the most rigid, difficult thing to put on and off. At this point, I just slide it on part way to get the Isis Wallet app to open, that way I don’t destroy my fingers removing it each time. Tip: The upper sides of the Isis Ready case are soft and are your friend. Use them wisely to get the case on and off.